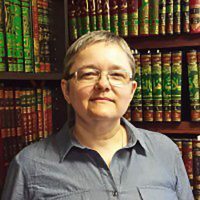 Aisha Geissinger completed a doctoral degree in Religious Studies from the University of Toronto in 2008, with the areas of concentration in classical Quranic exegesis (tafsir) and Muslim intellectual history. Having taught in the Religious Studies Department at Michigan State University from 2007-2009 as a lecturer/assistant professor, Geissinger joined the Religion Program at Carleton in 2009. “No, A Woman Did Not ‘Edit the Qur’an’: Towards a Methodologically Coherent Approach to a Tradition Portraying a Woman and Written Quranic Materials,” _Journal of the American Academy of Religion_ 85.2 (June 2017): 416-445. “‘Are Men the Majority in Paradise, or Women?’: Constructing Gender and Communal Boundaries in Muslim b. al-Hajjaj’s (d. 261/875) Kitab al-Janna,” in _Roads to Paradise: Eschatology and Concepts of the Hereafter in Islam_, eds. Sebastian Guenther and Todd Lawson (Brill, 2016), I: 309-340. “’Umm al-Darda’ sat in tashahhud like a man’: Towards the historical contextualization of a portrayal of female religious authority,” _The Muslim World_ 103.3 (July 2013): 305-19. “Mary in the Quran: Rereading Subversive Births,” in Sacred Tropes: Tanakh, New Testament, and Qur’an as Literature and Culture, ed. Roberta Sterman Sabbath, Biblical Interpretation Series, Vol. 98 (Leiden and Boston: Brill, 2009), 379-392. “The Portrayal of Hajj as a Context for Women’s Exegesis: Textual Evidence in al-Bukhari’s (d. 870 C.E.) Sahih,” in Insights into Classical Arabic Literature and Islam, ed. Sebastian Guenther, Islamic History and Civilization Series, Vol. 58 (Leiden and Boston: Brill, 2005), 153-179.